My friend Shaun is moving to another country soon. I’ve talked about him before, and there’s a reddit thread about him here. He acquired every achievement shortly before Mists of Pandaria’s launch. I’ve known him since middle school, and like I said, he’s moving to another country next month. To prepare for this, he’s been giving away practically everything he owns. I took some of his weights and a pull-up bar, but that’s not really applicable to this blog. 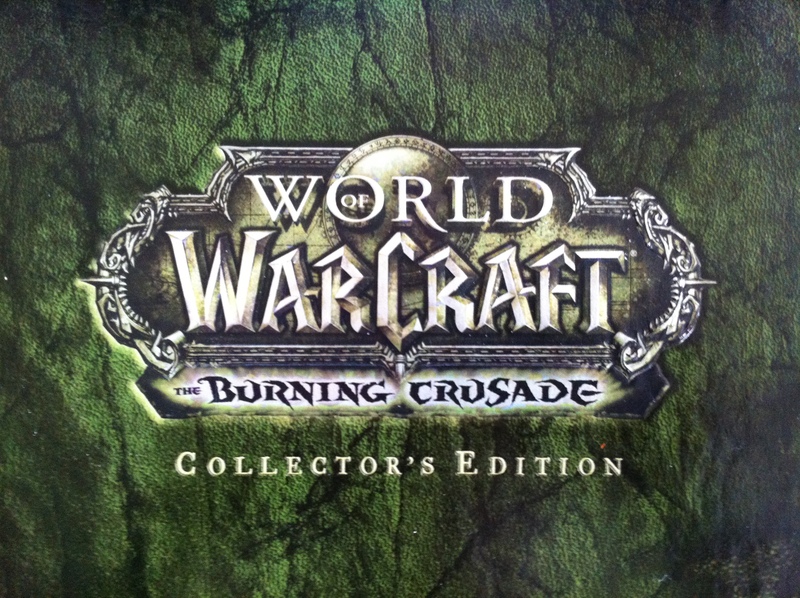 He had Collector’s Editions of all the World of Warcraft expansions, and I accepted The Burning Crusade Collector’s Edition because it was the only one I didn’t have! Thank you for the gift, Shaun / Scyber / Scybear / Yuber. Enjoy your new country!